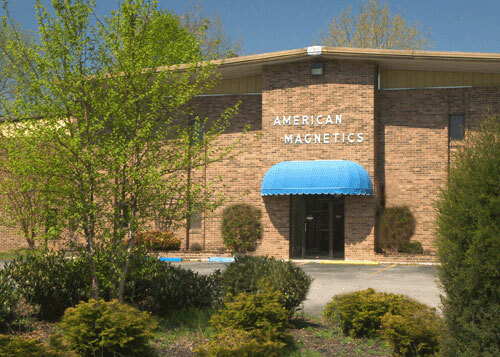 American Magnetics, Inc. (AMI), a veteran owned company in Oak Ridge, TN, has been a manufacturer of superconducting magnet systems and cryogenic equipment for over 45 years. Founded in 1968, AMI has become a world leader in supplying turn-key cryogen free and liquid helium based superconducting magnet systems with literally thousands of magnets in the field. Our custom solutions range from completely conduction cooled multi-axis systems combined with an integrated variable temperature insert to large room temperature bore zero boil off helium recondensing systems (ReconTM). When our innovative superconducting magnets, such as our multi-axis (MAxesTM) series are coupled with cutting edge cryostats, the customer is buying a winning combination. AMI is the chosen supplier for many large corporations that utilize superconducting magnets, magnet systems and cryogenic technology. Our engineering team is known around the world for being able to find a system solution for almost any customer need and most recently won the prestigious 2009 R&D 100 Award. Topping off our premier superconducting magnet systems is AMI's Model 430 power supply programmer, which yields extremely accurate, high automation, and easy control for our customers all via Ethernet. AMI offers a complete line of capacitance and resistance based instrumentation that can be utilized to measure any cryogenic fluid with unparalled accuracy and reliability. AMI stands behind its products with the best warranty in the industry offering full system protection for fifteen months.